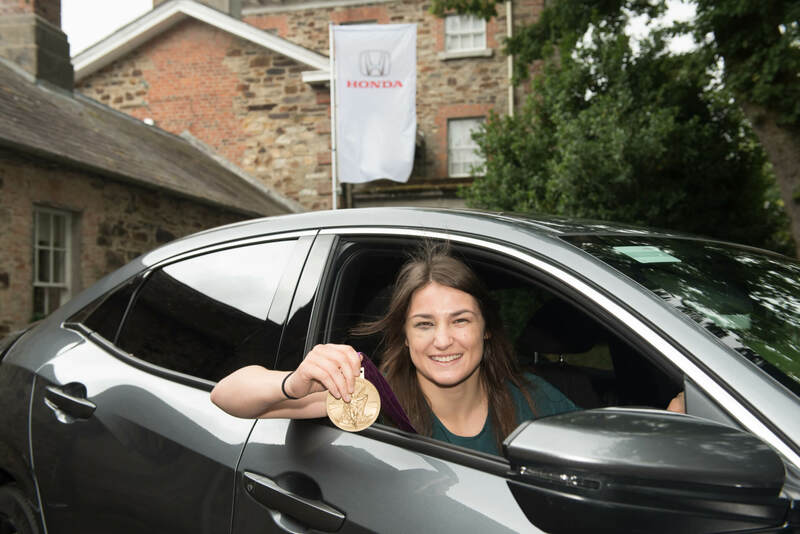 Castle Garage Bray are extremely proud to be associated with Honda Brand Ambassador Katie Taylor, who is without doubt an outstanding Irish athlete of her generation. Although Katie's amateur boxing career is probably best remembered for her Olympic Gold in 2012, she won five consecutive gold medals at the Women's World Championships, gold six times at the European Championships, and gold five times at the European Union Championships. Katie turned professional in 2016 and is currently the unified lightweight female world champion, holding both the WBA and IBF titles. Stay tuned for more updates on Katie's athletic achievements. Watch the video below of Katie taking the 2019 Honda models around Mondello Park for a spin. Plus you'll see some highlights of the features including the latest suite of technology Honda Sensing and not forgetting the much anticipated CR-V Hybrid. Katie also completes a 'Hot Lap' in the Civic Type R.